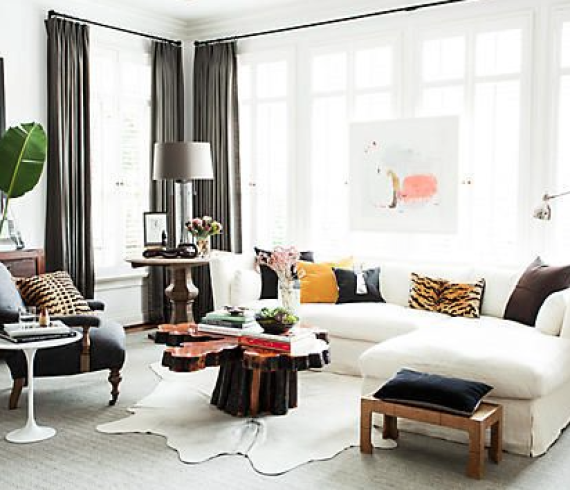 Mix safari style (think hide rugs, Campaign furniture, and African mud-cloth pillows) with glam metallic accents, abstract art, and modern animal prints for a fresh take on the life exotic. Playing free association with animal prints can bring to mind the jungle room at Graceland, Heather Locklear’s sheets on Melrose Place or the fashion choices of Snooki from Jersey Shore. But what designers know is that animal prints can be so much more sophisticated than that. 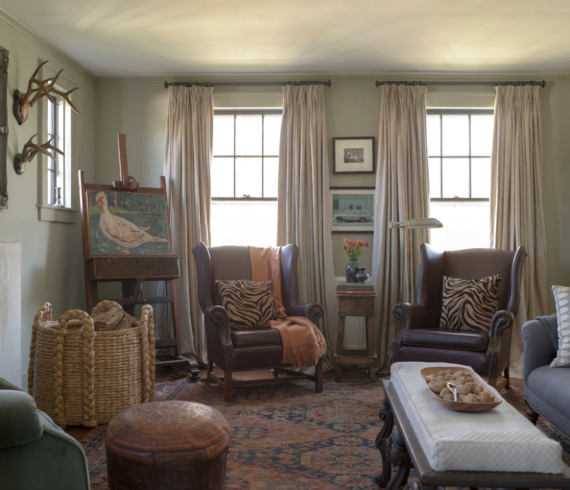 And designers sometimes use these patterns to add a touch of whimsy to an otherwise serious room. After all, even a serious room can use a little bit of Eartha Kitt to make it really purr.